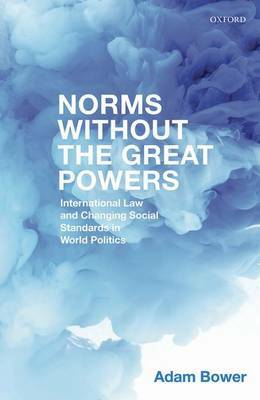 Norms Without the Great Powers examines the nature of power in world politics, and the particular role that law plays in defining the meaning and deployment of power in the international system. Specifically, it seeks to further explicate the social dimensions of power as the capacity to shape how actors think about the world, in contrast to the more typical conception emphasizing material properties such as military or economic capabilities. Participating in international institutions and being seen as 'law-abiding' is a potent source of status for states and non-state actors alike. In engaging with the law, actors are inducted into a complex set of collective expectations that profoundly shape the way they frame their interests and pursue their policy goals. This process is first examined theoretically, and then through a detailed evaluation of two prominent-and challenging-multilateral institutions, the ban on antipersonnel mines and the International Criminal Court.